At TechRadar, we like to think we're duly prepared for the zombie apocalypse. Not a day goes by of which we don't lend a small part to discussing the best weapons (crowbar), best modes of transport (mountain bike: fast, agile, good for off-road) and best locations to fortify in (riverboat) should an outbreak occur at any moment. 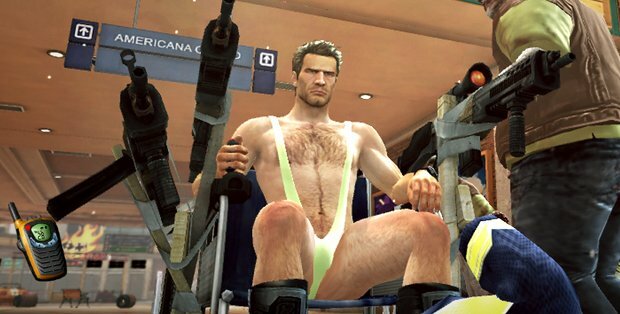 But truth be told, when the day comes, I'll be the one found in the local shopping mall wearing nothing but a banana hammock and driving around in my homemade zombie death chair. 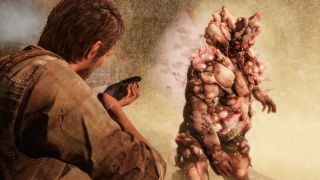 This week, TechRadar to Naughty Dog to ask for a few tips for facing an apocalyptic outbreak, but more importantly, to find out how The Last of Us Remastered on PS4 has been improved. If you've already played the original, is it time to revisit? Read these 10 ways that The Last of Us Remastered is better on the PS4, and decide for yourselves. There was an industry shakeup this week that sent tremors through the TimeSplitters fan community. But whether those tremors was good or bad, we're still not sure. Deep Silver announced it had bought the Homefront franchise from Far Cry developer Crytek, meaning Crytek would no longer be working on Homefront: The Revolution. The result of this (and ongoing financial woes) is that Crytek UK will effectively close its doors and be repurposed into Deep Silver Dambuster Studios, while Crytek USA, the team working on Hunt: Horros of the Gilded Age, will also shut. Hunt will instead be developed by Crytek's German division. It's all very messy, but what you might not have realised is that the fate of TimeSplitters now hangs in the balance. Crytek was at one time TimeSplitters developer Free Radical, which was later snapped up by Crytek in 2009 after filing for bankruptcy and transformed into Crytek UK. No TimeSplitters games have been developed since. In light of this week's news, the question now is: who the hell gets the rights to TimeSplitters? And what are the chances of us ever seeing TimeSplitters 4? Crytek owns those rights now, but that may change in the transition. And if Deep Silver obtains the IP, there's a chance we could see a fourth game get put into development. On the other hand, this could be the worst news ever for hopefuls, with the possibility of the IP being left to rot at the bottom of a filing cabinet somewhere. What makes things more promising/heartbreaking (depending on the outcome) is that just days ago one Crytek bod told Total Xbox that "everybody" at Crytek UK was eager to work on TimeSplitters 4. "It's just waiting for the right situations and deals to be done," said animator Mark Jackson. "I'm not privy to that, but from everybody working at the studio - everyone, whenever we say what would you like to do next, it's TimeSplitters." Ouch. It's not a good week to be Sega, which told investors that profits have taken a sharp dive [CVG]. Its net income was £32 million for the three months starting in June, less than half of what it made for the same period last year. Sega's not put out any significant titles in that time (it's been very mobile heavy) and said that a "softening" of the package game business is in part to blame for the results. Maybe Marc Chacksfield's idea for a 2D Sonic Remastered (???) could be the one to turn things around. But we'd sooner put our money on Alien: Isolation. Sorry, Chax.